The downsizer contributions proposal was announced in the May 2017 budget to address the housing affordability crisis. The policy justification for downsizer contributions is to remove a hurdle for older taxpayers from selling their current homes for smaller homes, thereby freeing up the housing market by increasing supply. The legislation to implement downsizer contributions has now been introduced in bill form: namely Schedule 2 to the Treasury Laws Amendment (Reducing Pressure on Housing Affordability Measures No 1) Bill 2017. This bill was introduced into Parliament on 7 September 2017. In broad terms, the proposal is that from 1 July 2018 a taxpayer can apply up to $300,000 of the capital proceeds from the disposal of their principal residence as a superannuation contribution for themselves or for their spouse. The contribution will only qualify as a downsizer contribution if the beneficiary of the contribution is aged 65 or over at the time the contribution is made. This contribution will be considered as a non-concessional contribution (NCC). The contribution can be made despite the beneficiary of the contribution not satisfying the age work test and despite having no or insufficient NCC cap space. However, downsizer contributions will form part of the total superannuation balance of the beneficiary and will also be counted for the purposes of the transfer balance cap of the beneficiary if and when the downsizer contribution is used to commence an income stream. Consequently, downsizer contributions will have a similar treatment to capital gains tax (CGT) NCCs. 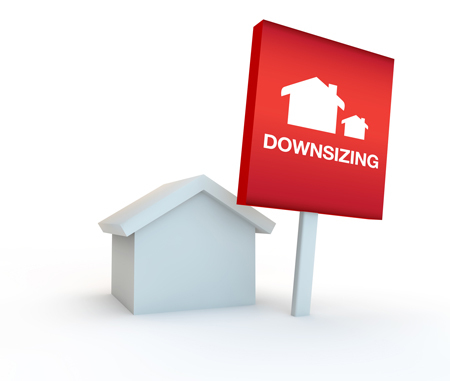 In order to make a downsizer contribution, the taxpayer must dispose of a property that satisfies two requirements. The first is that there must be a disposal of an ownership interest in relation to the property, which must have been continuously held for 10 years or more prior to its disposal. The other requirement is that the interest relates to property that must have had the benefit of Division 118 treatment (in whole or in part) or would have been entitled to Division 118 treatment but for the fact the property is a pre-CGT asset. In order to satisfy the second requirement, the property must have a dwelling that was used as the principal place of residence of the taxpayer. Where the ownership interest is held by one spouse and not both spouses, then the spouse holding the ownership interest could make a downsizer contribution for themselves and also make a downsizer contribution for their spouse. The age requirement applies to the taxpayer who is the beneficiary of the contribution and not to the contributor. Downsizer contributions are not deductible to the contributor, they cannot be subject to a contribution split and will form part of the tax-free component of the superannuation interest of the beneficiary. The beneficiary of the downsizer contribution must elect that the contribution be treated as a downsizer contribution. If, after making the election, it is subsequently determined the contribution does not qualify as a downsizer contribution, then the contribution will be treated as an NCC, and given that the beneficiary of the contribution is over the age of 65, it will be treated in whole (or at least to $200,000) as an excess NCC. The principal negative feature of downsizer contributions is that $300,000, or $600,000 if a couple, may be transferred from a tax-exempt and Centrelink-test-exempt environment to a possibly taxed and Centrelink-tested environment. Consequently, downsizer contributions are only likely to appeal to super members who are already excluded from the age pension due to the assets test and who have sufficient transfer balance cap space so that the downsizer contribution can reside on the tax-exempt side of the SMSF. In short, downsizer contributions will appeal to non-super asset rich but super-poor clients who are currently excluded from the age pension by reason of the assets test. The operation of downsizer contributions will be illustrated by two examples. The first will be the vanilla situation of Bert and Mildred. The second will be the more exotic situation of Dagobert and Amelie, which combines the bring-forward NCC provision and downsizer contribution into one contribution plan. Bert acquired Blackacre on 1 July 2005 and immediately occupied the property as his principal place of residence. On 1 July 2010, Bert married Mildred. On 31 December 2019, Bert sold Blackacre and received $1.8 million in net sale proceeds. At the time of sale, Bert was 70 and Mildred was just under 65.Bert’s and Mildred’s total superannuation balances at 31 December 2019 were, respectively, $1.7 million and $900,000. Bert makes a $300,000 contribution for himself on 15 January 2020. He also makes a $300,000 contribution for Mildred on 15 March 2020. The contributions are made to their SMSF. Both contributions will qualify as downsizer contributions for Bert and Mildred respectively. The reason why the contributions will qualify is set out below. the beneficiary of the contribution must be aged 65 or more when the contribution is made to the superannuation fund (paragraph 1(a)). Both Bert and Mildred satisfy this requirement as aged. Bert was 70 at the time his contribution was made. Mildred, while aged under 65 at the time of the disposal, had turned 65 by the time Bert made the contribution. Had Bert been 60, his own contribution would not qualify as a downsizer contribution, but Mildred’s contribution would still qualify. The contribution is an amount equal to all or part of the capital proceeds received from the disposal of an ownership interest in the property (paragraph 1(b)). As Bert applied $600,000 of the cash received from the sale of Blackacre directly as contributions for himself and Mildred, the capital proceeds requirement will be satisfied. It is an interesting question whether the cash proceeds requirement would have been satisfied had Bert in fact made the contributions using money not directly arising from the sale. The provision uses the text “the contribution is an amount equal to all or part of the capital proceeds” and not “the contribution of all or part of the capital proceeds”. Possibly the cash proceeds is the measure of the amount of the contribution and the source of the contribution. Typically the capital proceeds will be the source of the contribution. The ownership interest must be owned by the beneficiary of the contribution or their spouse just before the disposal (paragraph 1(c)). As Bert was the registered proprietor of Blackacre immediately before the disposal, this requirement will be satisfied. The capital gain/loss arising from the disposal of the property must be wholly or partially disregarded under subdivision 118-B (paragraph 1(d)). The sale proceeds are exempt from CGT due to the principal place of residence exemption. It should be noted that so long as Bert is entitled to a partial exemption, this condition will be satisfied. Further, the property need not be the principal place of residence at the time of disposal. If the dwelling predates CGT, then the sale proceeds will qualify if the only reason the exemption does not apply in part or whole is due to the pre-CGT status of the property. The ownership interest must have been held at all times during the 10 years ending just before the disposal either by the beneficiary of the contribution, or their spouse or their former spouse (paragraph 1(e) and subsection 2). The 10-year holding requirement will be satisfied as Bert was the registered proprietor of Blackacre for at least 10 years before 31 December 2019. This requirement will be satisfied even if Blackacre was not the principal place of residence of Bert and Mildred just before the disposal. The time of the disposal is taken to be the date of settlement of the sale and not the date of exchange. Consequently, the holding period is determined from settlement date to settlement date. Also the date of settlement must be on or after 1 July 2018. The dwelling is located in Australia and is not a caravan, houseboat or other mobile home (paragraph 1(f)). The contribution is made within 90 days of the disposal (paragraph 1(g)). The 90-day time period has been satisfied. It should be noted this period can be extended at the discretion of the consent of the commissioner of taxation and no “special circumstances” need to be satisfied to trigger the application of the discretion. In the case of Bert and Mildred, each contribution was made within the 90-day period. The contributions need not have been made at the same time. Bert had to wait until Mildred turned 65 before making the contribution, which she did within the 90-day period. The beneficiary of the contribution makes an election to treat the contribution as a contribution to which section 292-102 applies (paragraph 1(h)). The election to treat the contribution as downsizer contribution must be made by the beneficiary (recipient) of the contribution and not made by the contributor. The election must be in the approved form and be made and given to the trustee of the super fund at or before the contribution is made. No previous downsizer contribution has been made for the beneficiary (unless the previous contribution is sourced from the same proceeds of the same interest or from an interest held by the spouse and which was disposed of under the same contract of sale) (paragraph 1(i)). The “no previous downsizer contribution” requirement imposes the restriction that while Bert may have owned two or more properties, each of which would have satisfied the downsizer contribution requirements, only one qualifying property can be selected as the chosen property of the downsizer contributions. All downsizer contributions made by or for Bert must (subject to one exception) be made sourced from the capital proceeds of the chosen property. The exception is where the contribution is sourced from an ownership interest in the same property held by Mildred and both interests are sold under the one contract of sale. Finally, it is irrelevant that at the time contributions are made neither Bert nor Mildred satisfied the work test. Also, it is irrelevant whether Bert or Mildred were aged between 65 and 75 or aged 75 or more. The Superannuation Industry Supervision (SIS) regulations specifying the work test and age 75 test will be modified so that downsizer contributions are an exception to those tests. It is also irrelevant that Bert has a total superannuation balance greater than $1.6 million so his NCC cap is nil. Again, downsizer contributions will be an exception to the NCC cap. However, NCCs will be included in the total superannuation balance and so affect the ability of further NCCs being made in subsequent financial years. Dagobert and Amelie are a married couple and are both under 65 when they sell an investment property they jointly held for 11 years prior to the disposal on 31 December 2018. They occupied the investment property as their residence for eight years before buying their current residence. Dagobert and Amelie are aged 64 and 11 months and 64 and 10 months respectively when the now investment property was sold.The sale proceeds are $1.5 million net of tax. Dagobert and Amelie each decide to contribute a $300,000 NCC using the bring-forward condition of their NCC cap. Fortunately their total superannuation balances at the start of the current financial year, 2017/18, are $1.3 million and $1 million respectively, so they each have the maximum NCC cap space for the bring forward strategy and have not previously invoked the bring-forward provision. Within 90 days of the disposal and after they each have turned 65, they can now each make a $300,000 downsizer contribution. Dagobert makes his second $300,000 contribution on 15 February 2019, after he has turned 65 and before 31 March 2019. Dagobert’s second contribution will qualify as a downsizer contribution. Amelie makes her second contribution of $300,000 on 15 March 2019, after she has turned 65 but before 31 March 2019. Amelie’s second contribution will qualify as a downsizer contribution. Both Dagobert and Amelie have satisfied the age 65 and the 90-day requirements as the downsizer contribution was made after they each turned 65 but within 90 days of the settlement of the sale of the investment property. While the investment property was not their principal place of residence immediately before settlement, the property can be chosen as the source of the downsizer contributions as they are entitled to a partial exemption of the capital gain under Division 118-B. Clearly the 10-year holding requirement has been satisfied. In short, they have been able to contribute $1.2 million in NCCs to super simply because the disposal occurred before they each turned 65 (thereby permitting bring-forward contributions to be made) and within 90 days of settlement. By Michael Hallinan – superannuation special counsel with Townsends Corporate and Business Lawyers.